Moving in Massachusetts? What Type of Storage Do You Need? If you are planning on making a move in Massachusetts, whether you are staying in-state or moving across the country, you may want to include residential storage in with your plans to help everything run smoothly. Residential moving and storage can encompass a lot of services all in one. From providing packing supplies and services like custom packing and specialty moving to providing short-term and long-term storage solutions, there are a lot of options to go around. Residential storage in Massachusetts is available through quality moving service companies like Conlon Moving & Storage. Our clients trust the storage opportunities that we provide to them, whether they just need a quick solution during a remodel or renovation, or if they require longer term solutions while building a home or moving temporarily out of state. Whenever you shop around to hire moving companies in Massachusetts, it is important to ask a lot of questions and make sure you know what you are getting. There are a lot of reasons why people contact moving and storage companies to help them with their personal belongings, furniture and other assets. In fact, we provide packing supplies and services to people who are simply looking to store their things for a few weeks or months, as well as to people who are moving to the other side of the world. It pays to do your research and make sure that the company you are hiring can provide you with the services you need. For example, residential storage in Massachusetts can be an important part of any move or organizational project, so it pays to work with a company that can provide you with everything you need to get the job done. Downsizing – Are you moving to a smaller home? Moving from a house to an apartment or condo? Have an “empty nest” and don’t need as much furniture for the time being? Some people like to use residential storage in Massachusetts to keep furniture and belongings that they can’t use right now, but still might want to use in the future. We can also help with packing supplies and services to help protect your valuable things. Interstate Move – When making an interstate move, it can be helpful to store some things that you don’t need while preparing to make your move. For example, Conlon Moving & Storage is a Florida moving specialist, having helped many of our clients make the move from New England down to the south. Our local moving services can help you prepare for such a big move, assisting with storage for seasonal items, holiday decorations and other things that can be stored while you prepare to move the rest of your belongings. International Move – Moving to a foreign country can be quite the undertaking. When you work with a company like Conlon Moving & Storage for your residential moving and storage needs, you get the benefit of our association with United Van Lines and UniGroup Worldwide UTS to help facilitate your move overseas. We can even help you with local residential storage in Massachusetts for the things that you can’t or don’t want to take with you on your international move. Temporary Move – Sometimes you just need to make a short-term, temporary move for your job, school or some other personal reason. Moving companies in Massachusetts can help you with all the packing supplies and services you need to pack up all your things and put them into residential storage. Whether you are going to be gone for a period of weeks, months or years, you can put your things into our residential storage in Massachusetts and it wil be waiting for you when you get back to New England. 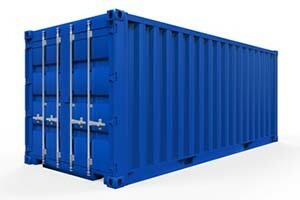 Selling a Home – Another great use for our storage containers is when you are selling a home. Real estate agents have used this little trick for years, putting personal items, clutter and extra furniture into residential storage to help make the home appear larger and less “lived in” to help it sell faster and at a better price. Ask about our packing supplies and services to help make this process even easier. If you are interested in learning more about our services for residential moving and storage and are in the South Coast region, which includes Southeastern Massachusetts, Cape Cod, Rhode Island and Connecticut, contact Conlon Moving & Storage. We provide moving, storage, packing supplies and services to clients throughout the local region and can facilitate moves outside the New England area, across the country and overseas. There is no deposit required for booking a moving date and you can get a FREE no obligation estimate just by contacting our local office. Give us a call at 508-336-7766 to speak with one of our representatives for moving and residential storage in Massachusetts.